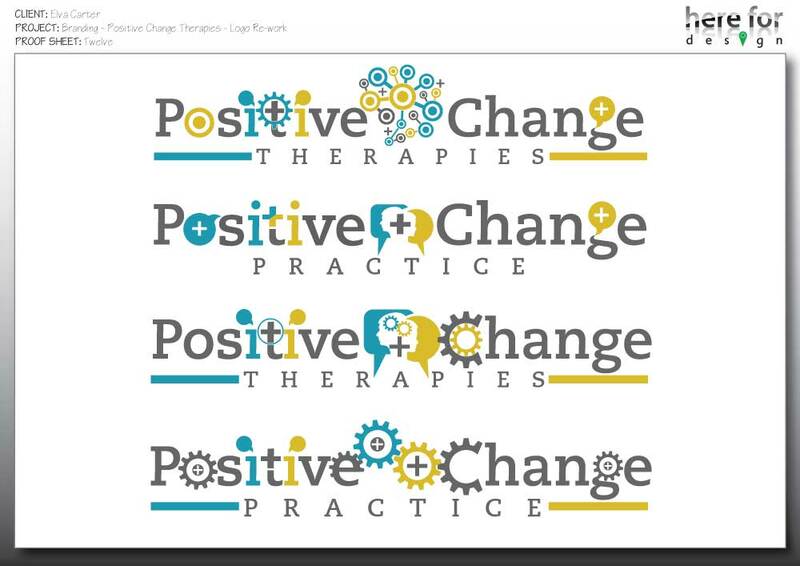 Elva Carter of Positive Change Therapies engaged with me to initially manage a few changes on her website www.positivechangetherapies.co.uk after successfully completing what she was looking for Elva highlighted a few more things that she would like to do with her business and simply asked if I could help. 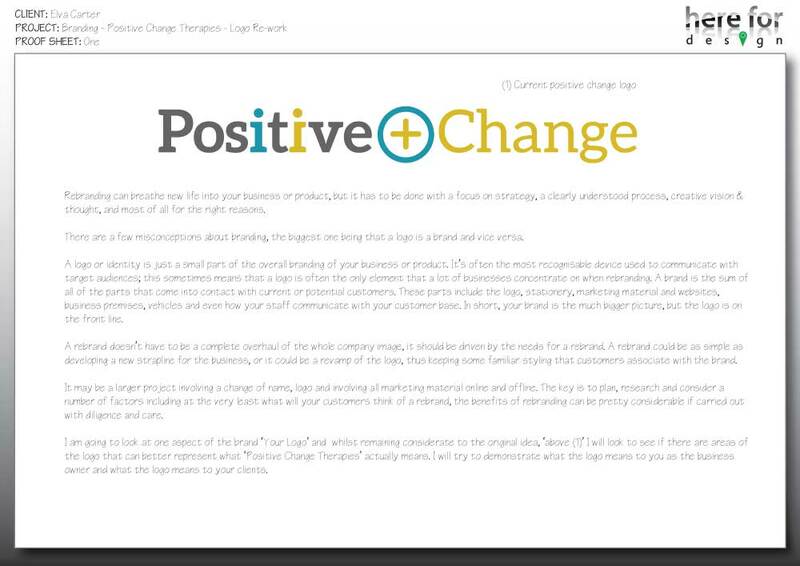 Once you get to know a client it is far easier to discuss what you think works with their business and what you believe can be improved. 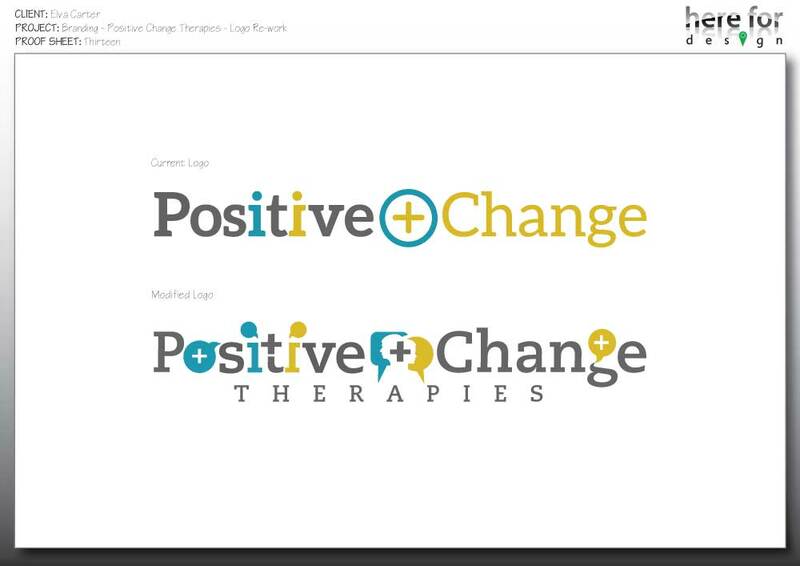 As a passing comment, I discussed with Elva a few ideas about reworking her logo to interpret what she does in her business and how that could be shown. 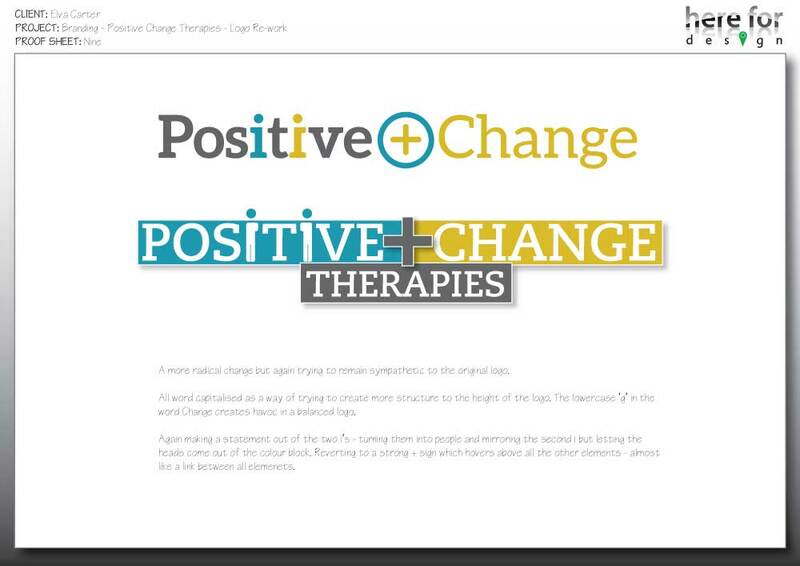 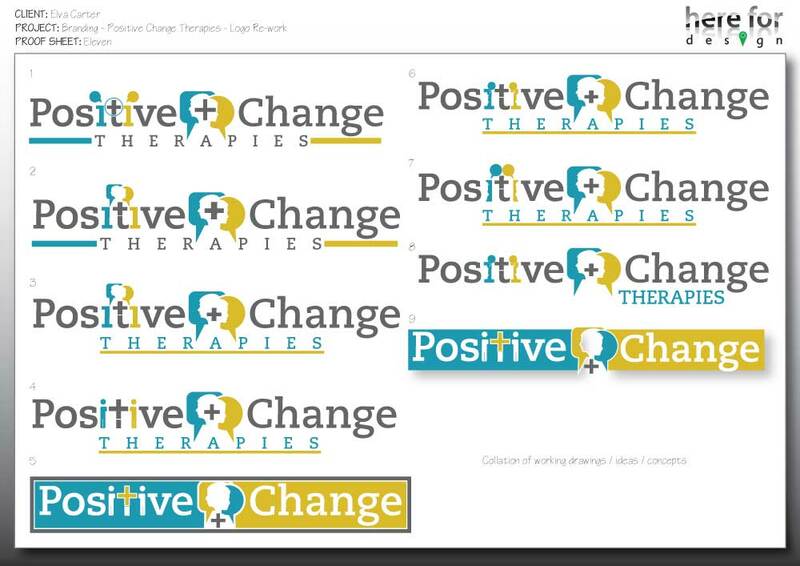 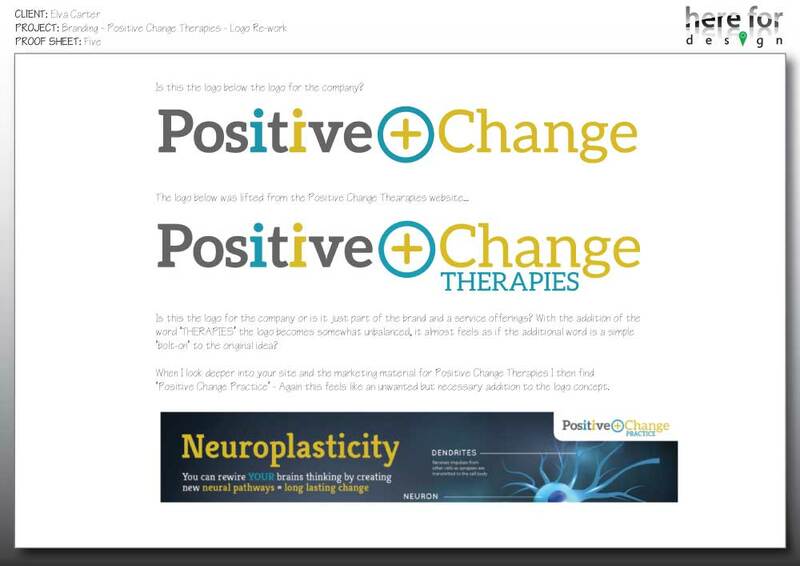 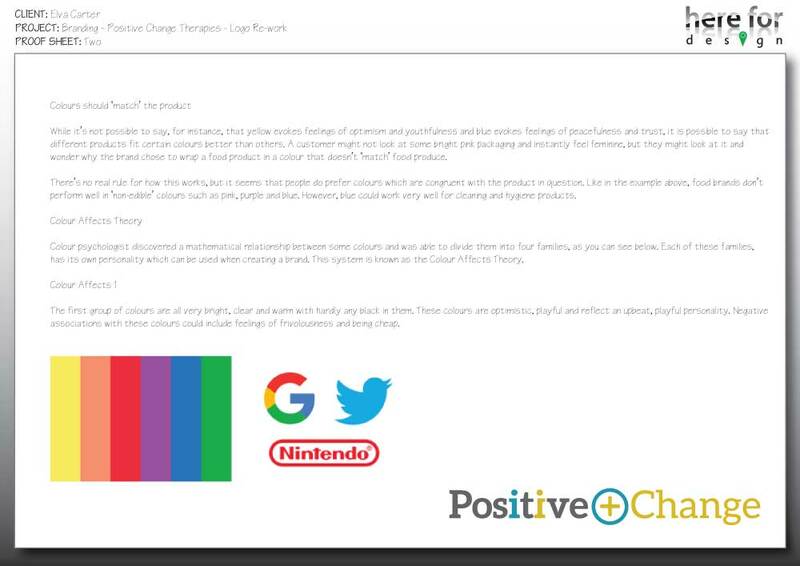 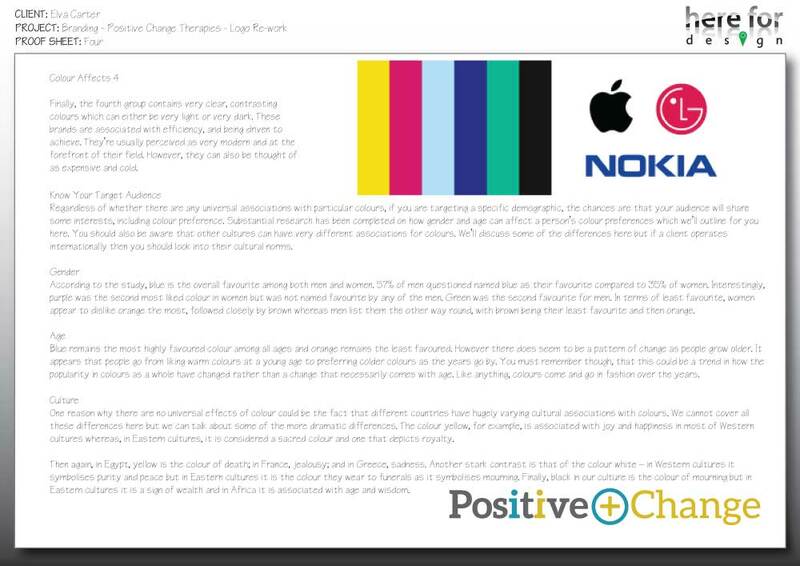 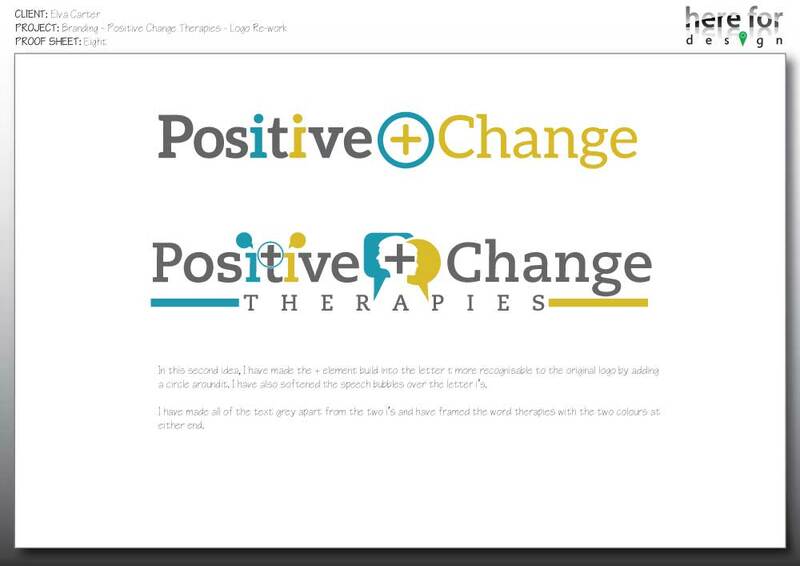 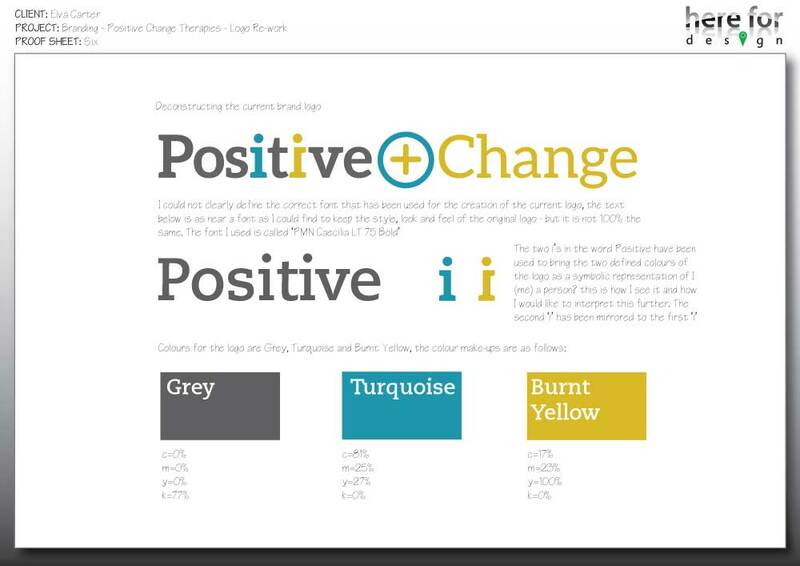 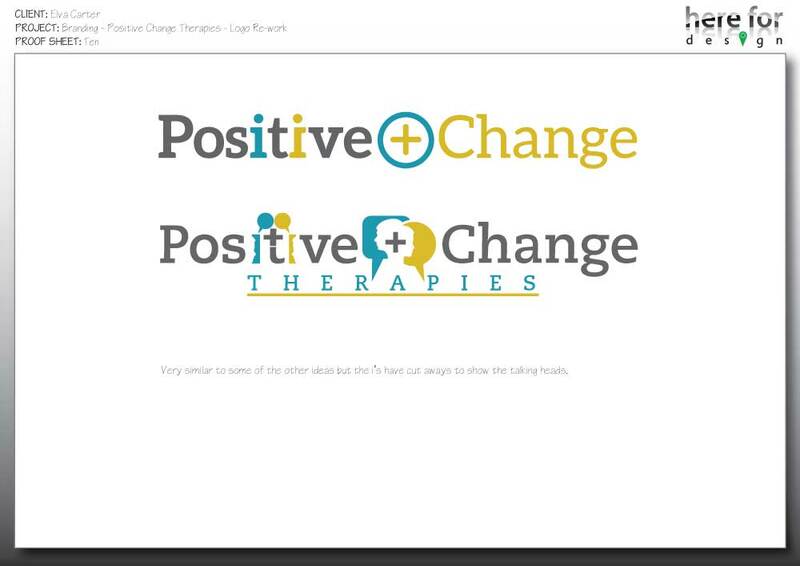 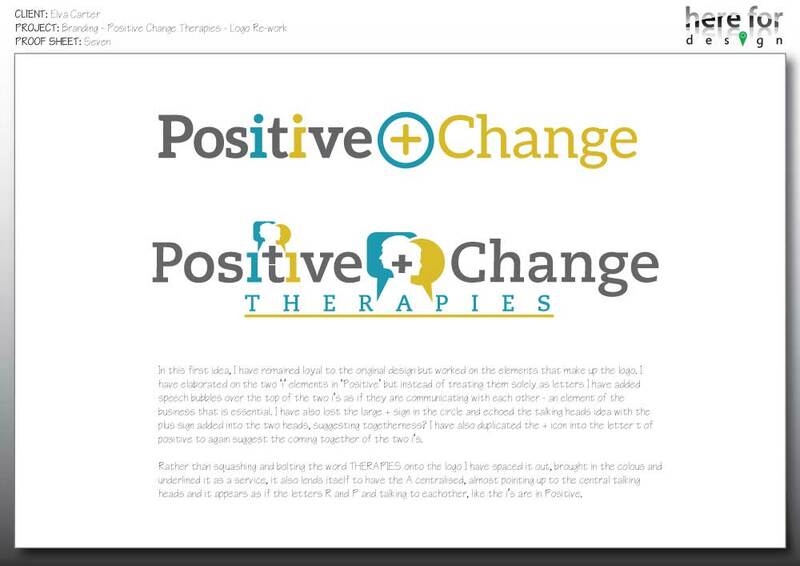 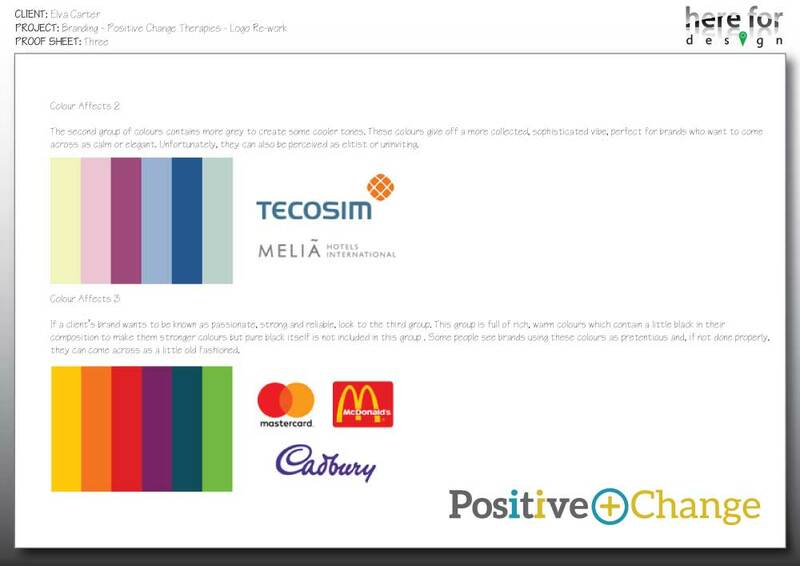 The following is a sample set of sheets to show the process of a simple rebrand.